Picture Book Shelf: Barry the Fish with Fingers - Gets An Animation Deal! Barry the Fish with Fingers - Gets An Animation Deal! 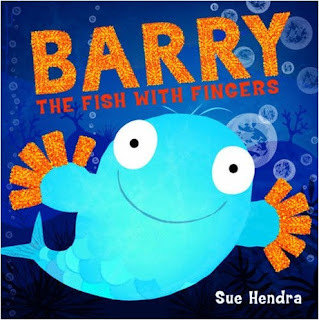 Simon & Schuster Children’s Books today announced that animation rights have been optioned for their bestselling preschool brand Barry the Fish with Fingers, written and illustrated by Sue Hendra. Wish Films have secured the option for television animation rights on two titles: Barry the Fish with Fingers and Barry the Fish with Fingers and the Hairy Scary Monster. 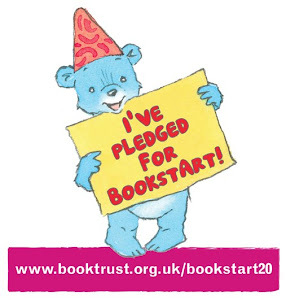 Sue Hendra is a rising star on the S&S picture book list with four further titles already signed up for 2012 and beyond. Her first title for S&S, Barry the Fish with Fingers, was published in 2010, and became an instant hit, selling more than 105k copies to date, with several foreign rights deals secured. Norman the Slug with the Silly Shell (January 2011) was the bestselling new picture book for the first four months of this year and continues to be one of the top selling picture books of 2011. I'm sure the animated version will be a hit - Hendra's style lends itself very easily to animation I think.